Home > My offside trap	> Remember Unirea Urziceni? Well, you might as well just forget about it! Remember Unirea Urziceni? Well, you might as well just forget about it! They were once hot. Now they are simply not… there anymore. The unknown Romanians that might have raised both of Ancelotti’s eyebrows, if they would have made it through that Champions League group featuring Seville, Rangers and Stuttgart, in 2009, have decided to leave. For good. 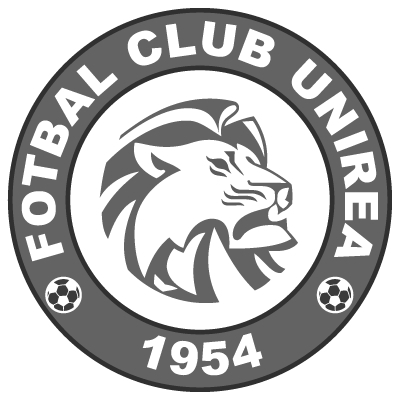 As a club, Unirea Urziceni, yes, that was the name!, has ceased to exist. Relegated last season in the second division, the 2009 champion and 2010 runner-up in probably not the best league in the world (Romania’s top tier that is!) has officially announced its retirement from all competitions. No reasons and, don’t worry, no questions asked. Ok, we’re talking about the club that collected a record eight points in the group stage, something no other Romanian team seems capable to achieve in the near future, but let’s not forget that Unirea’s rise started with the former Chelsea man Dan Petrescu at the helm and the magic was gone, once SuperDan realized that the only way was down deciding to move to, errr, Russia’s second tier, in search of another maybe similar adventure. If there’s a guy who could write the true story of Unirea Urziceni that’s Epaminonda Nicu, now 31, the sort of player with an odd enough name to stand out when playing some mediocre football in the Romanian third tier who went all the way to the Champions League, often captaining the side throughout this short, yet magnificent story. He could explain how the owner with the lowest profile, Dumitru Bucsaru, used a few millions borrowed from Steaua’s vocal owner, Gigi Becali, to build a stronger and more successful team. Or name all the players that he had to welcome to the 20,000 souls town of Urziceni. Or explain why Petrescu is destined to either go very far in his coaching career or to the nearest hospital, after a spoiled game by either the refs or his own players. Or tell some incredible stories about the perfect season, in which they left all the big clubs fight each other to the death, while sneaking up on the first and last title in Unirea’s history, which has now come to an abrupt end. It was predictable, as last season all the important players were offloaded, and inevitable. Bucsaru had paid his debt to Becali, won games and titles he had never dreamed to go near, and realized that the only way for Unirea was downwards. Quitting while he was way ahead made perfect sense. This is football, these days, both in Manchester and Urziceni. Strictly business, right? Bucsaru e o jigodie ordinara. As for Urziceni, it is a dam shame that this happened, and it only shows us the corruption that has ruined our once great footballing country. Forza Rapid. Ready to turn on the gas! Unirea Urziceni no longer exists as a club!